No matter how much money you’ve set aside to buy a new car, you’re bound to have some fears. The most typical ones are related to being ripped off, i.e. being tricked into overpaying. This is perfectly normal, since most of us can’t afford to spend so much money and not get our money’s worth. So, what is it that we should know and do when the time comes to buy a new car? Needless to say, purchasing a car is one of the biggest investments we are forced to make every few years and we don’t want to see our hard-earned cash go down the drain. We keep hearing stories of people being ripped off or paying too much, we compare the prices of similar models and try to find the best deal. We are happy to learn that we’ve paid less than someone else for the same quality. This is all fine, but we tend to forget more important things. To begin with, are you getting the car you want and need? Can you afford the maintenance? What mileage do you normally cover and does your car need heavy investment to make it safe and reliable? These are all questions you should be asking yourself before you look at the price. We often tend to forget to see the big picture when it comes to the total price we’re paying for the car. We celebrate a small victory when a car dealer agrees to lower the price, but we conveniently forget, for example, that the smaller the downpayment, the higher the interest rate. Choosing a wrong deal can easily turn out to cost us more that the quoted price. Of course, it’s best to use cash or an interest-free loan arrangement, but not many are able to do that. Plan B is to put as much downpayment as possible and choose loans no longer than 3 years. 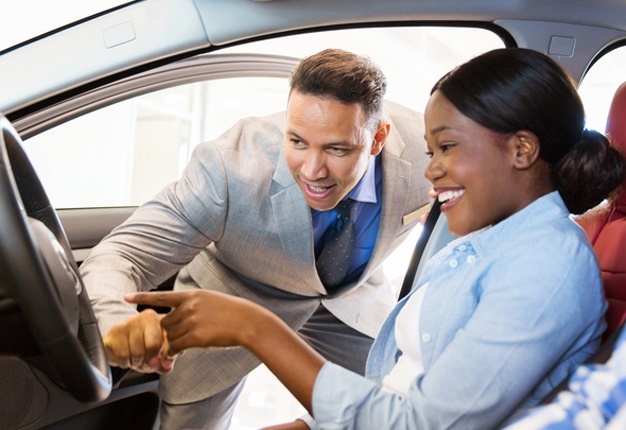 Some statistics show that people tend to spend much more time shopping for a car, even though there are specialised companies helping us quickly buy and sell cars. People waste too much of their own time looking for the best deal, that at the end they may end up wasting more time, i.e. money, than they think they’ve saved. Of course, it all depends on how much you value your time. The more you value it, the more money you’ll lose by spending countless hours unnecessarily looking for the best possible deal. On top of it all, you may fail to find what you’re looking for and get really frustrated. Having a car costs so much more than the price you pay to make it your own. You need to calculate how much money you’re going to need for maintenance, petrol, insurance, etc. Plus, you need to make sure you have a reliable mechanic somewhere close, so that you don’t have to pay through your teeth for towing in case something goes wrong. Some statistics show that the average length of car ownership is around 5 years, so it might sound unrealistic to plan to have the same car for ten years or so, especially if you’re planning to expand your family. We are now spoiled for choice when it comes to pretty much everything. From flavoured bottled water to cars, there are hundreds of different products on offer and this may be overwhelming to many. This is quite understandably because there’s more pressure on buyers to make the right choice. And once they finally choose a car, if it doesn’t live up to the expectations, the once-proud owner gets frustrated and depressed. So, try to remove that pressure and focus on what you need and what you can realistically afford. Everything else is secondary. As you can see, what should be a happy moment for everyone can easily turn into a nightmare, but it doesn’t have to be the case. The most important thing is to remain realistic and remember that it’s you who’s buying a car and not the other way round.